In a blender or food processor, pulse together sugars, almond flour, and coconut. 2. In a mixing bowl, combine all ingredients, except for the chocolate chips. 3. Add the chocolate chips. Mix until fully blended. 4. 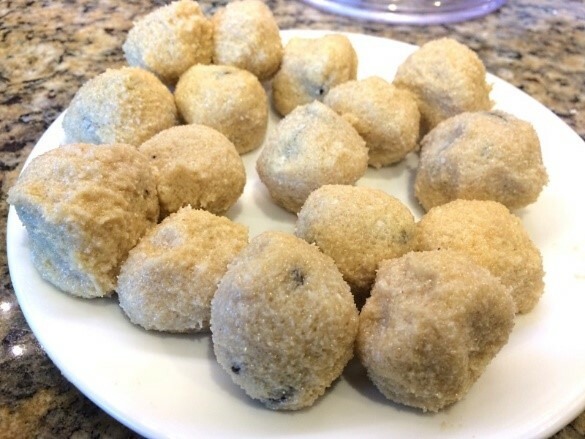 Scoop by the tablespoon and roll into balls. 5. Refrigerate for an hour before serving for best texture. Keep refrigerated.